The second leg of the Sunday night BBL08 double header takes place over in Perth, with the Perth Scorchers taking on the Melbourne Stars at Optus Stadium. Check out our preview with the best cheat sheet on the market and our favourite plays! The first of Sunday’s BBL08 double header sees the Adelaide Strikers host the Brisbane Heat at the Adelaide Oval. The chances to get your golden ticket are running out so read our preview and go get yours! 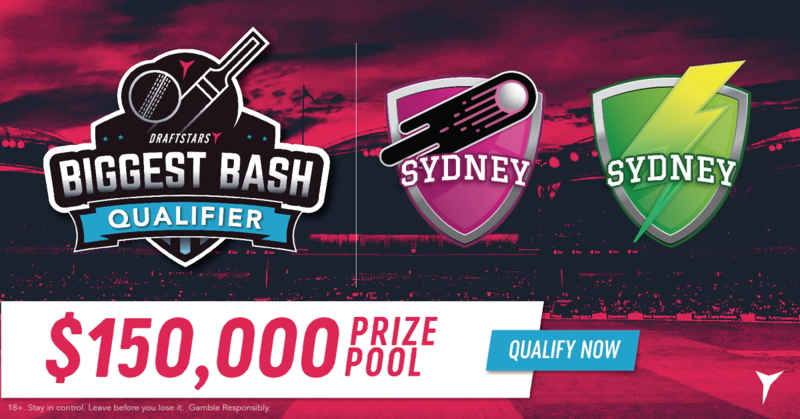 BBL08 rolls on Saturday night with the Sydney Smash! 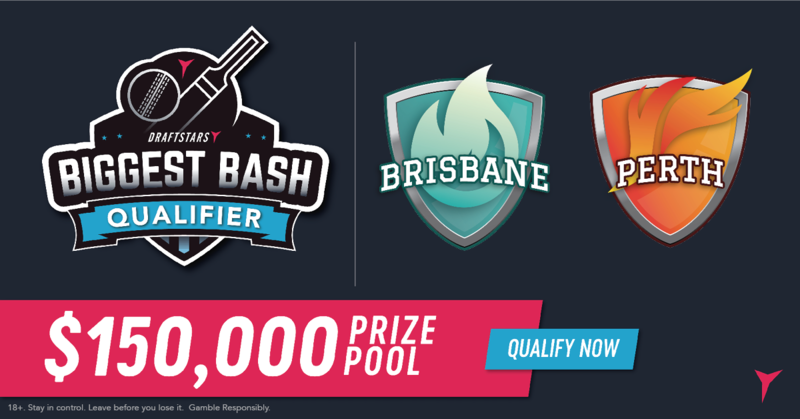 The Sixers take on the Thunder at the SCG and we give you our cheat sheets and favourite plays to try and win your way to the Biggest Bash live final! 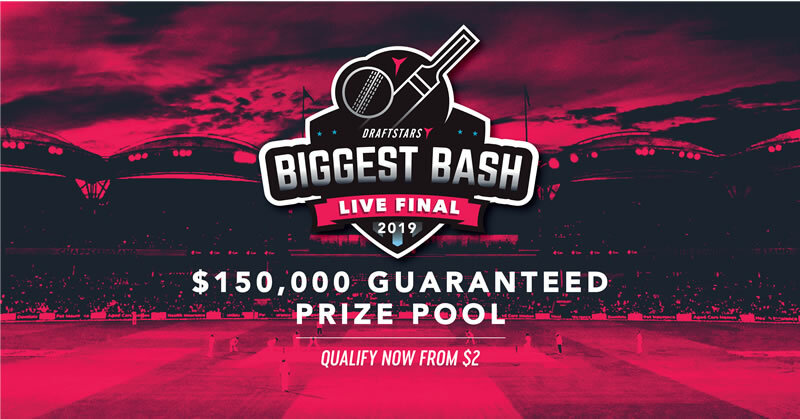 Friday night action in BBL08 sees the Brisbane Heat host the Perth Scorchers at The Gabba. 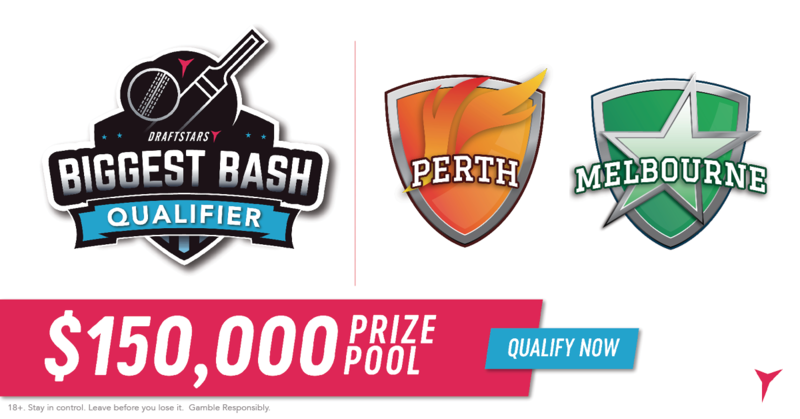 Check out our preview and our new BBL Resources section to help you grab one of the remaining Biggest Bash golden tickets! 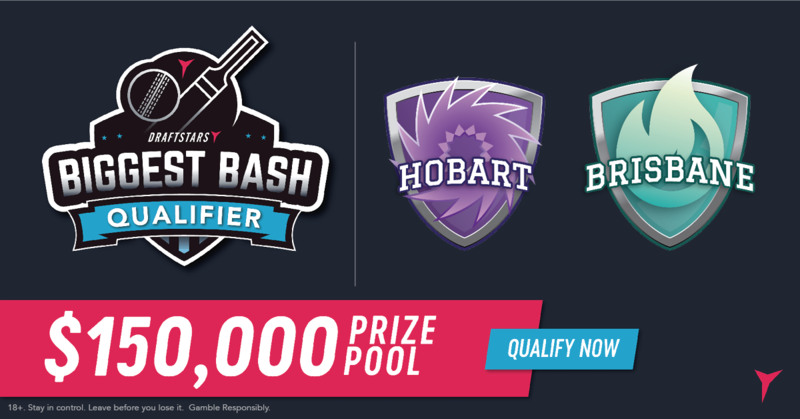 The Hobart Hurricanes head to Launceston on Thursday in BBL08 action to host the Adelaide Strikers at UTAS Stadium. Check out our market-leading cheat sheet and our favourite plays before you start building your DFS lineups! 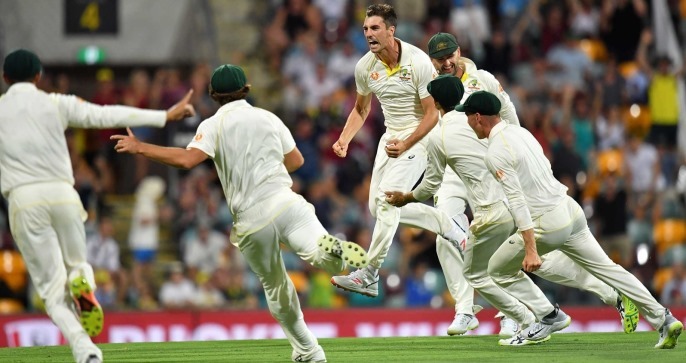 After winning the first Test by an innings and inside 3 days, Australia has ensured they cannot lose this two-match series. They'll be out to win in Canberra against a Sri Lankan side down on pace bowling stocks. BBL08 action returns to Melbourne on Wednesday night with the Melbourne Renegades hosting the Sydney Thunder at Marvel Stadium. With Biggest Bash golden tickets running out, check out our favourite plays so you can land on a winning lineup! The second match of Tuesday’s BBL08 double header will see the Sydney Sixers host the Adelaide Strikers at the SCG. 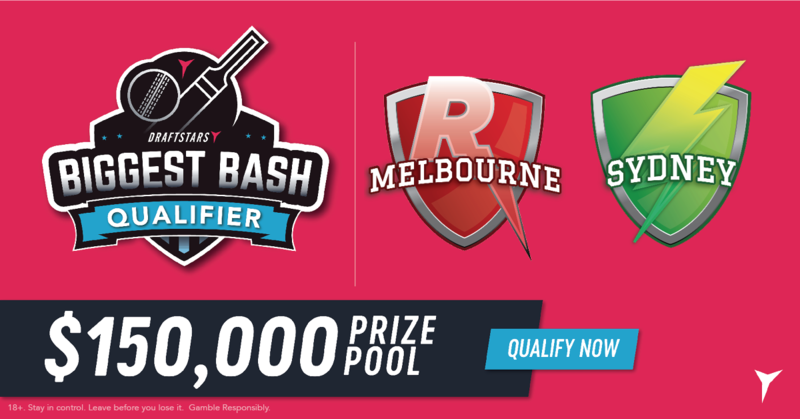 There's only 20 Biggest Bash spots left to win so check out our fantasy tips and grab yourself a ticket! 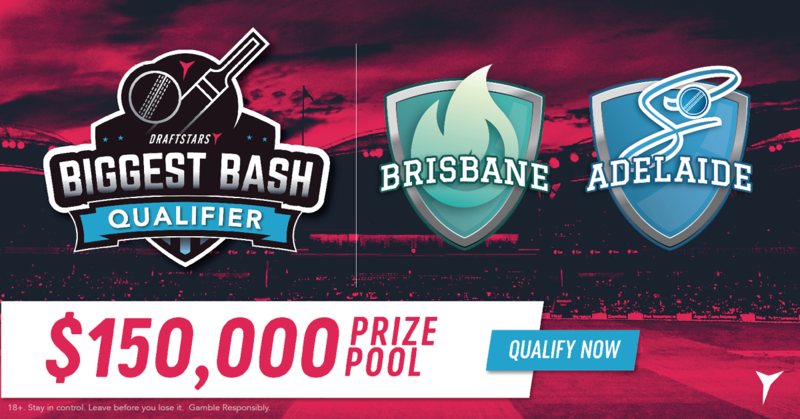 In the first match of a double header on Tuesday, the Hobart Hurricanes return home in BBL08 action to host the Brisbane Heat at Blundstone Arena. Check out our new cheat sheet and get our favourite fantasy tips!